Agroamerica starts operations in Guatemala with a small banana plantation. For several years Agroamerica grew various different types of crops. 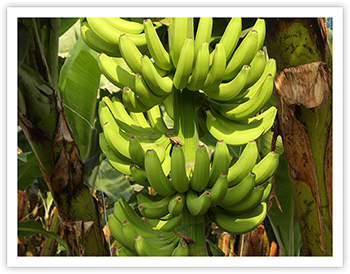 Agroamerica is exclusively dedicated to banana production, marketing and exporting. 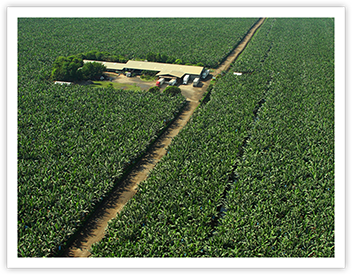 As a result of the damage caused by Hurricane Mitch, Agroamerica decides to transition a few of their banana plantations and enters the palm oil business. Agroamerica expands its growing and enters the pineapple business in Costa Rica. Agroamerica consolidates its position as one of the largest and most efficient banana and pineapple producers in the world, as well as an efficient producer of palm oil in the region. Agroamerica obtains the Rainforest Alliance, GlobalG.A.P. and BASC certifications. A Clean Development Mechanism (CDM) project is approved by the United Nations. The Corporate Social Responsibility program is consolidated and is focused on workers, families and communities. Having grown its banana business for over 25 years, Agroamerica introduces its new banana company, ONE BANANA. The Better Banana Company. Committed to the environment and community, ONE BANANA is dedicated to growing delicious bananas to be enjoyed all over the world. 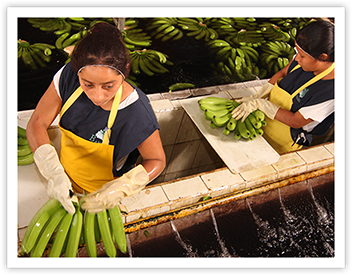 The company is now expanding to Panama, Ecuador and Peru and is producing organic bananas as well. We’ve made it our singular mission to define ourselves by our belief that no matter the business, it all comes down to people. People are paramount to everything we do, say and believe. Generation after generation, we can honestly say that we are different. How we grow our bananas. How we treat our team members. How we maintain, cultivate and protect the lands we own and harvest. Be a better banana company. Not because we have to, but because we want to. ONE, small thing can make a difference. 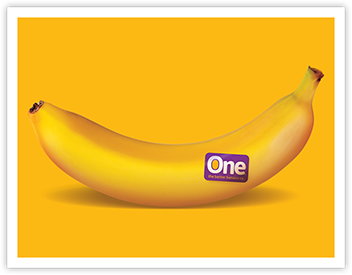 Create change for the better, ONE banana, ONE person at a time. We show pride, enthusiasm and dedication in everything that we do. We are committed to producing and delivering high quality products and services. Our organization is focused on commitment, leadership, responsibility, creativity, organization, harmony, friendship and cooperation among each and every one of our partners and collaborators. Authenticity, reliability and loyalty are all attributes found in our organization. We employ the highest ethical standards, demonstrating honesty and fairness in actions we take. We would love to hear from you! Please contact us for more information or if you have any questions about our company and our bananas. You can find answers to our most popular questions on our FAQ page. ONE BANANA NORTH AMERICA CORP.
At One Banana we demand integrity and the fulfillment of our company’s values, including all laws, our internal policies and the company’s code of ethics. If you notice any unethical behavior, we invite you to report it through our ETHICS HOTLINE. One Banana has partnered with an external company – Etictel – to offer a secure and confidential portal, so that you can ask questions or submit complaints, over the phone or through its website. Users of this Ethics Reporting Line are protected by the Ethics and Non-Retaliation Policy, which prohibits retaliation of any kind for filing bona fide complaints.